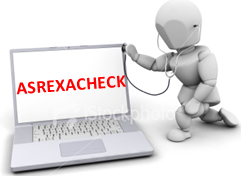 In addition to running the asrexachk script with out any options there are some additional options that are available to add or suppress some functionality. -h[H] Display a usage message on available options. on a management type network that does not carry client access traffic. Client Access/Bond bondeth*or Customer Private eth2 and or eth3 Networks. which is interface: Net0/eth0 and the ILOM port NetMGMT. This script will work on one node at a time, if you want to execute ASREXACHK on all db node and storage server than you can use pm_wrapper.sh script. It will copy ASREXACHK on all the DB and storage node, execute it and collect the output into single file.